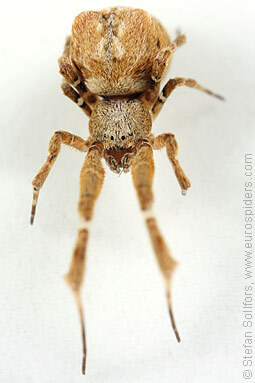 Female Uloborus plumipes from below. 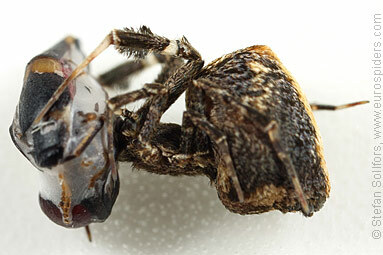 Female Uloborus plumipes holding a wrapped up, juicy insect. 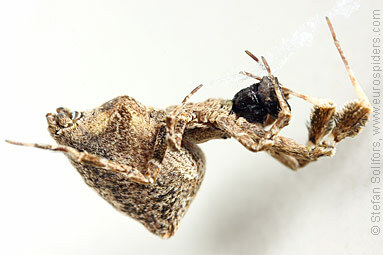 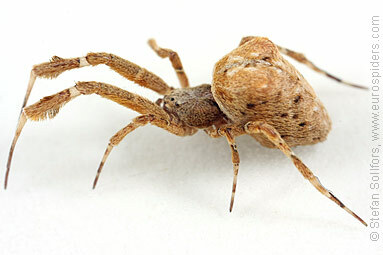 Female Uloborus plumipes hanging upside down, holding its prey. 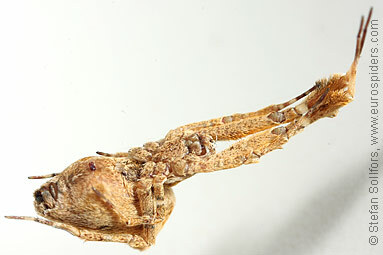 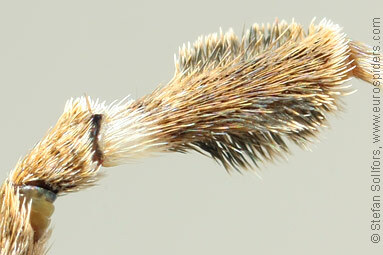 Close-up of the feather of a front leg of an Uloborus plumipes. 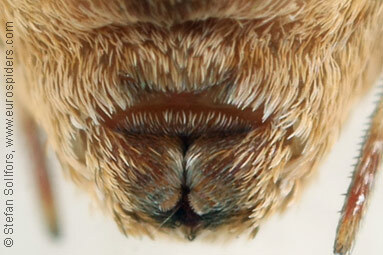 Close-up of the head of a female Uloborus plumipes. 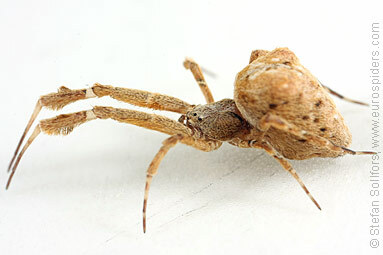 Female Uloborus plumipes from behind. 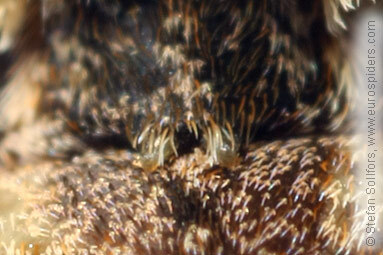 Close-up of cribellum and spinners of a female Uloborus plumipes. 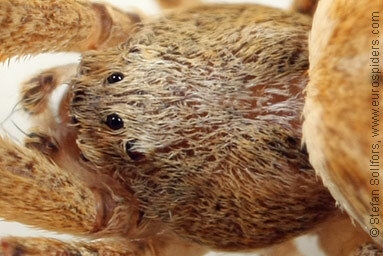 Female Uloborus plumipes, close-up of epigyne. 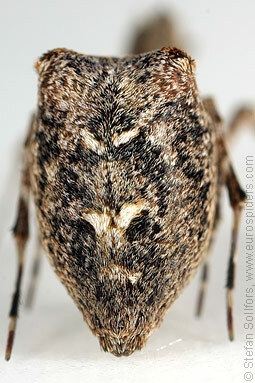 Female Uloborus plumipes, 5 mm. 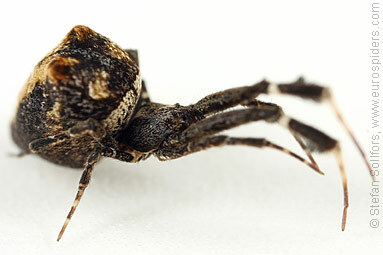 The cribbelate Uloborus plumipes is one of few spiders that don't have poison/venom to inject to kill its prey. 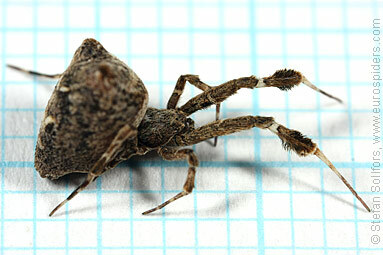 This spider is usually found in greenhouses.